I don't read a lot of historical romance novels, A Time For Everything is the first one I've read and after reading it I'm hooked on historical romances. Portia McAllister and Beau Stanford are the main characters in the book. Portia is a Civil War widow, following the death of her husband and daughter, she moves to Lebanon and takes a job tutoring Beau's son, Jonny. Portia and Beau's relationship gets off to a rocky start, but over time they develop feelings for each other. 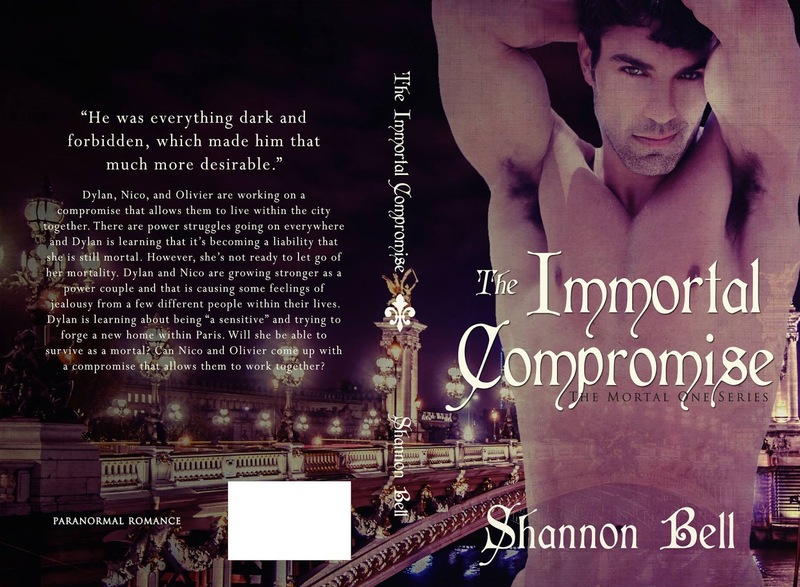 However, their road to romance is filled with obstacles, including Lydia Clemons, who has her heart set on marrying Beau. Throughout the story, I felt for Portia who was mourning the loss of her family while struggling to move on with her life. I loved the bond she formed with Jonny and how she was able to bring him out of his shell and get him talking. As for Beau, I felt for him too with the loss of his wife, the strained relationship with his son, and the financial troubles he faced. However, there were a few times where he came across as harsh, but once I learned about what happened to him in the war you get an understanding of his behavior. The supporting characters of Isaac, Bessie, Ezra, Frank, and Ellen; I loved and they added a lot of depth to the story. Lydia is someone I didn't like at first, because she acted like a spoiled brat, but as the story went on she began to take on a more mature side, especially when she comforts Portia after a tragedy. Even though I didn't like Lydia, I found myself warming up to her and towards the end I had trouble with the way she was written out. The author did a wonderful job with her research and as you're reading the story you get a glimpse of life during and after the Civil War. Her details are so vivid, it feels as if you're transported back to that time. 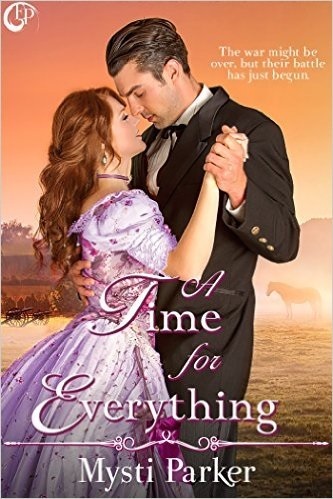 If you're a fan of historical romance with a heartwarming feel, I recommend A Time for Everything. 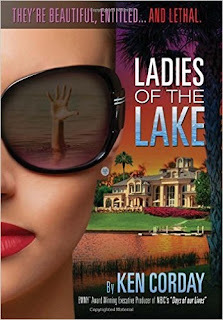 The author of this book is a former producer for Days of Our Lives and Ladies of the Lake takes on a soap opera vibe because it’s filled with mystery, suspense, drama, and of course a little romance thrown in. The premise of the story focuses on a group of friends, who live in a lakeside community and are known as Ladies of the Lake. The women live in a lap of luxury with big houses, expensive clothes, country club memberships, and fancy clothes. But behind closed doors, their lives aren’t as glamorous as they appear. The ladies face trouble with their marriages and their husbands; well I’ll just say they’re jerks although I think a more vulgar term would be appropriate. The ladies are unhappy with their lives and so one by one their husbands dies mysterious deaths, leaving their children suspicious and the police following the case. As their secrets are threatened to be exposed, the women come together and try to figure out a way to clear their names. 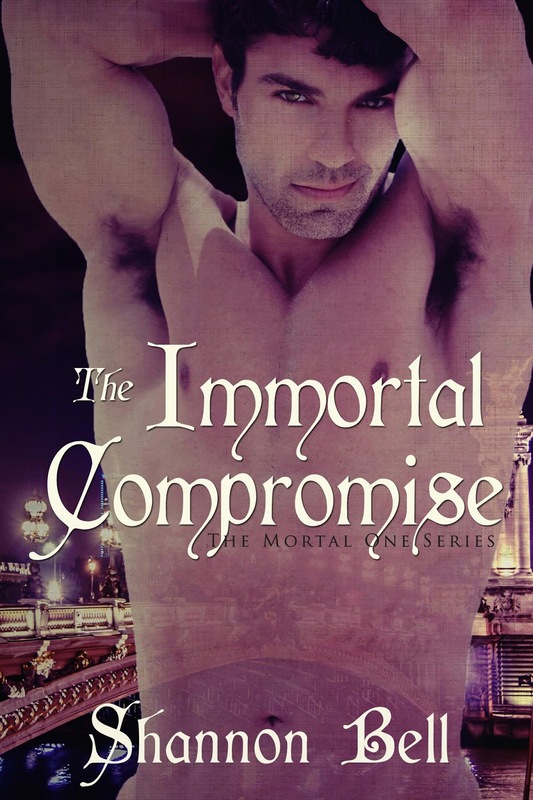 I enjoyed the book and as I said earlier, it took on that soap opera vibe which I loved. Even though the book’s mainly a mystery, it does have romance elements with one of the ladies falling in love with a detective and plus, there’s a relationship forming between two of the teens. I was invested in all of the characters, the wives at times come across as snobbish, but once you get a peek into their home lives you feel sorry for them. As for the husbands, I was so mad with the way that they treated their wives that I was waiting for them to get what was coming to them. One thing I liked about the book is how the stories are told from the perspectives of the different characters; you get a glimpse into the wives, the children, and the detective’s POV. I know that’s frowned upon, but it helps move the story along and bring the characters into focus. My only critique with the book is I wish there had been more focus on the kids, especially Alana; I would’ve liked to read her insight into the situation and her parents’ marriage. Overall, it’s a good book and I can’t wait to read what the author comes out with next. I received a copy of this ebook in exchange for an honest review. This is the first of Cara Addison’s books I’ve read and it’s also the first time I’m reading about the characters of Brett and Austin. From a few chapters in, I became enthralled with Brett and Austin, they were a fun couple and their love scenes were amazing. The story focuses on Austin moving in with Brett and getting started on her writing career which is taking off. As the story progresses, the couple finds themselves contemplating taking the next step in their relationship. They also find their lives thrown for a loop by the reappearance of Brett’s estranged father, who’s come to make amends with his son. Overall, I like the story and I thought it was fun. Brett and Austin are the type of couple you’d want to hang out with. One of favorite parts in the book is when the couple goes on a trip to Paris. And another favorite part of mine is when they’re snowed in with Brett’s friend and one of his clients from the office. My only critique of the book is I felt like it went by too fast. I would’ve loved to seen more interaction with Brett and his father as they try to repair their relationship instead of Brett just realizing it’s time to forgive him. Also, there was a part in the book where Austin’s in Paris and a waiter flirts with her, she finds herself drawn to him yet doesn’t act on her feelings. I felt like that could’ve been explored a little more instead of just ending it with her returning to New York the next day. Aside from that, this was a fun story and I’m curious to read more of Brett and Austin’s relationship. 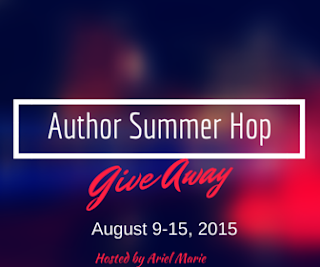 Today’s book spotlight is on Alicia Washington. She’s an author and work at home blogger, her website is http://www.workersonboard.com/ She posts reviews, job leads, and offers advice to people seeking work from home jobs. Along with her blog, she’s written several books about working from home and the best companies to work for. 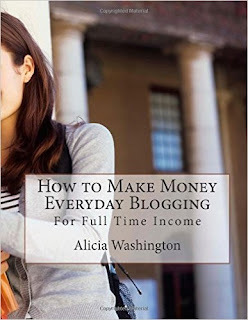 Below is a list of Alicia's books to help you get started on your work from home career. An easy guide on how to make a full time income blogging. Anyone, regardless of their age or location can use this book and the resources contained to start and maintain a blog to earn money everyday. It explains the various ways you can make money with a blog, how to increase your income and so much more. A compiled list of the latest companies hiring home people to work at home right from their home office. These jobs are intended for anyone who has the desire to stay at home and earn money without having to commute to work. The companies are legitimate and include but not limited to customer service, data entry, virtual assistants, chat agents, moderators, content writers, and so many other areas. There is even a section on how you can make money on social media, some payment proofs, examples of work at home scams and how to avoid them and companies that pay at least $10 an hour to work from home. Whether you are a stay at home mom or dad, student, teenager, retired, disabled or just prefer to use your computer to earn extra money, there is something in this book for you. 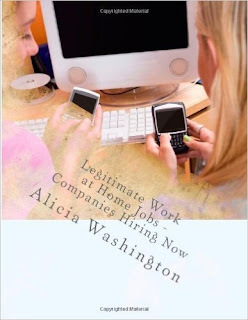 This book contains over 200 + legitimate companies that really pay you to work from home. It lists the pay (if it has been disclosed), the job description, and any other details to help you find and apply to several work at home jobs. This book also contains tips to help you keep your work at home job, the do's and don't s of working at home, as well as what you will need to work from home. This book has everything you need to successfully work from home. This is guide that will help you to find legitimate work at home jobs and avoid the work at home scams. It lists the names of companies currently hiring people to work from home that you can apply for online. They types of work at home jobs and other resources for you to make money from your computer. This book ask many of the questions about working from home and gives you to answers that you are looking for. Questions like can I really earn a living working from home? Do online survey companies really pay? Are all work at home data entry jobs a scam? and even so much more. It exposes the real truth about this growing industry and just how the concept of making money right from your computer will not go away. Fashion photographer Rachel Mitchell was living the good life in New York; she had everything she ever wanted. However, the death of her mother sends Rachel home to Virginia to be with her family. 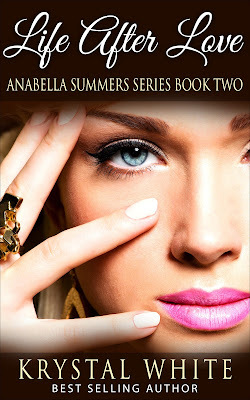 Upset she seeks comfort from her ex-boyfriend Cole Ashton and they start to reconnect. Their reunion makes Rachel question her life and she’s left with a difficult decision, either stay in New York or start a new life with Cole in Virginia. Which will she choose? "What about you? Do you have a special woman in your life?" Feeling displeased, even a little jealous to hear that he had a woman in his life; she knew it’d be only a matter of time before a woman came along and snatched him. What’s there not to love about him? He’s the perfect catch; generous, funny, and most importantly handsome. He would make some special lady very happy. Rachel knew he wouldn't stay single forever, although she secretly wished he would. She dreaded hearing about his lady love, but she couldn’t resist, she wanted to know more about this lady of his. "So tell me about—her.” She played with her straw and put her hand up to her cheek. "Her name's Lucy. She has black hair, very big and broad." A look of bewilderment came over her face. "Go on. I'm intrigued." "She's loving and caring. I couldn't imagine life without her." A sickening feeling erupted in her stomach; she didn't know how much longer she could hear Cole brag about Lucy. "Whenever I'm in a bad mood, she brightens my day." "Sounds like quite a gal." "She is. Every day when I come home, she jumps up and licks my face." "Did I mention Lucy's a dog?" "Don't tease me like that." She punched him in his shoulder. "Seriously, is there anyone else, besides Lucy?" "Nope, still single." Cole stared at Rachel. "I haven’t found that one lucky lady to spend the rest of my life with." Cole paid the bill, left a five dollar tip for the waitress, and escorted Rachel outside. They stood beside the Camry and talked a couple of more minutes. "It was good seeing you," Cole said. "Maybe next time, we can get together again." "Maybe we can." Rachel pulled the keys out of her purse. "I should head home now, grandma's probably worried." "Yeah, I need to get home and check on Lucy." "This." Cole leaned in and kissed Rachel on the lips. She wanted to pull away, but she didn't, having his soft lips pressed against hers felt good. She’d never felt like that before, not even with Jeremy. It was a simple, short and sweet kiss. Shannon has a Bachelor's degree in Creative Writing from the University of Central Florida as well as an online degree in vampirology. She is a full-time writer and currently hard at work on her next novel. 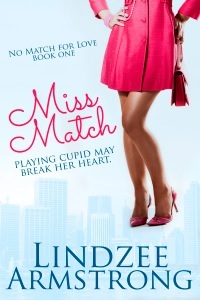 This cute, romance story revolves around Luke and Brooke, who've been friends for eight years. Luke's been in love with Brooke since high school, yet her friendship rules keeps him from acting on his feelings. Luke becomes CEO of his family's communications company following his father's death, his grief, his drinking, and his out of control behavior lands him in the tabloids and causes concern for the board. Brooke is there to help Luke, but her friendship with Luke also makes her tabloid fodder and causes strain with her fiancée Antonio. With his job on the line and Brooke's impending wedding to Antonio, Luke sets out to change his life and win the women he loves. Luke gets his chance when Brooke enlists his help in saving her matchmaking company Toujour, as the two work together Luke starts breaking their friendship rules and Brooke's feelings for Luke start to grow and she wonders if she's meant to be with him. Luke and Brooke is a couple I was rooting for from the beginning of the story, I loved reading about their history in high school and whenever they spent time together, my heart fluttered because they were so cute together. At first, Luke was a turnoff due to his drinking and out of control behavior, but as soon as he changed and became "the old Luke" as Brooke described I grew on him. Luke's gestures to win Brooke were romantic, one of my favorite scenes is when he brings her a box filled with mementos from their school days. With Brooke, at times I was screaming at the book for her to listen to her friends and give Luke a chance. But once I learned about how hurt she was by her dad cheating on her mom, I understood why she was hesitant to take a chance on Luke. I loved how the author lightened the mood by including humor. One of my favorite scenes is when Luke takes one of his Toujour dates to a football game,which ends with him getting doused in beer. The author does a good job of tying everything up at the end, some of the scenes will melt your heart and may make you cry. I'm looking forward to reading more from the author, and hopefully there will be more stories with Brooke and Luke. I've always been fascinated by ghosts and I also love North Carolina, so when I saw this book I had to get it to check out North Carolina's haunted history. The author covers every area of North Carolina, from The Outer Banks to The Triad to The Blue Ridge Mountains, there's a ghost story to be told. I loved reading about the history of North Carolina, the author's experience at the various locations and and the stories told by employees and tourists. There were a few parts in the book where I felt she didn't give enough attention to the locations and instead talked about ghosthunting tips. She already covered the how-tos of ghosthunting in the introduction and I felt the rest of the book should've mainly focused on the attractions in North Carolina. Anabella and Marcus have lived a fairy tale romance from the moment they met. 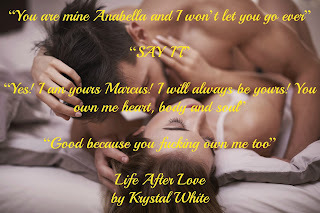 Realizing how special and rare their connection is, Marcus wastes no time in proposing to Anabella. Wanting her to be his forever. But they will soon realize that life does not always work as planned. Will their love be able to withstand the obstacles heading their way? 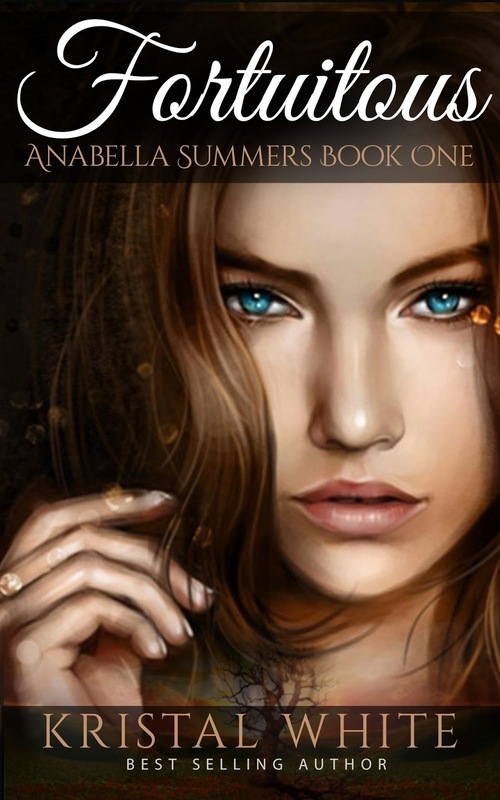 Anabella Summers was a typical seventeen years old. She was happy, popular, smart and was thinking about graduation and which college she would go to. Then one Saturday night her parents were killed in a fatal car accident. Immediately, Anabella felt like the colors were sucked away from the world. Devastated, she moved in with her older sister in the hopes of starting over in a new place. Away from all the memories that were consuming her. 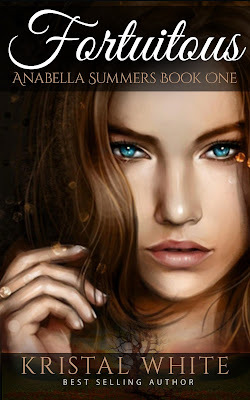 Follow Anabella and discover along with her what life has stored for her from that moment on. 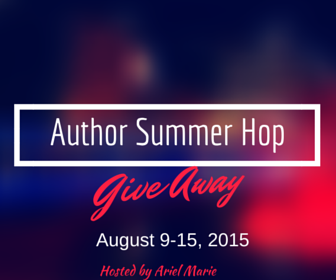 My name is Krystal and I love reading and writing! I doubt I could be without my kindle as I take it everywhere with me as every moment I can spear I spend it reading. I have always thought of myself as quite inventive and I figured it was time to put my creativity and imagination to work! That's when I decided to buy a smaller laptop that I could easily carry with me and furiously write whenever possible! That's how on January 2015 I began writing and publishing my novellas. I love it and I hope you enjoy reading my stories almost as much as I enjoyed writing them! If you don't know where to start I'd suggest you pick up Unforeseen, Fortuitous and Alpha Queen, which are all free. If many of you readers are like me, you do a majority of your shopping on Amazon. 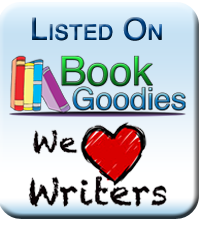 The site is popular among readers for getting great discounts on books and thanks to their Kindle it makes it easy to enjoy ebooks. 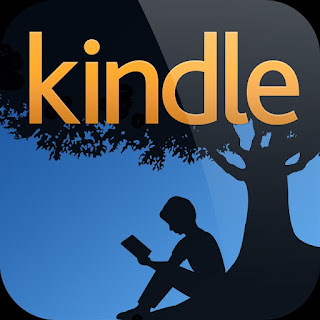 Even if you don't own a Kindle, you can still enjoy ebooks by downloading the Kindle app. The app can be downloaded onto your computer, iPad, smartphone, and any mobile device. I don't have a Kindle reader, instead I have the app on my iPad. It's easy to download and within minutes of buying a book, it'll show up on the app. The best thing about the app is it's absolutely free. There's no charge, you can just sign up and start enjoying your books.